KM 184, Small diaphragm condenser microphone from Neumann in the KM 184 series. Small diaphragm Condensor for universal use. This microphone can do everything, except boomy bases. If you are looking for a smooth, natural sound in particular for instruments with a broad frequency band as piano or acoustic guitar. But this one works on everything. 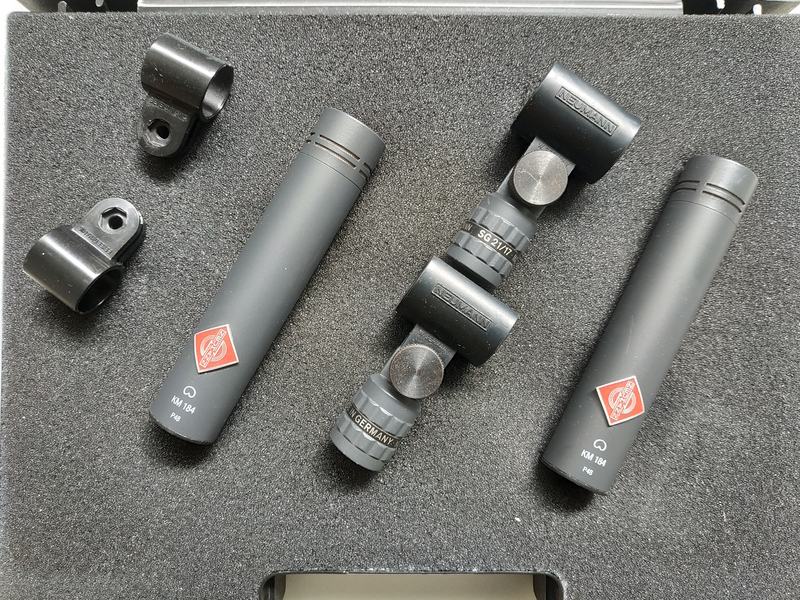 stompboxjon's review"i bought two of them"
Neumann has always made some pretty good mics and they always get pretty good reviews from their customers. 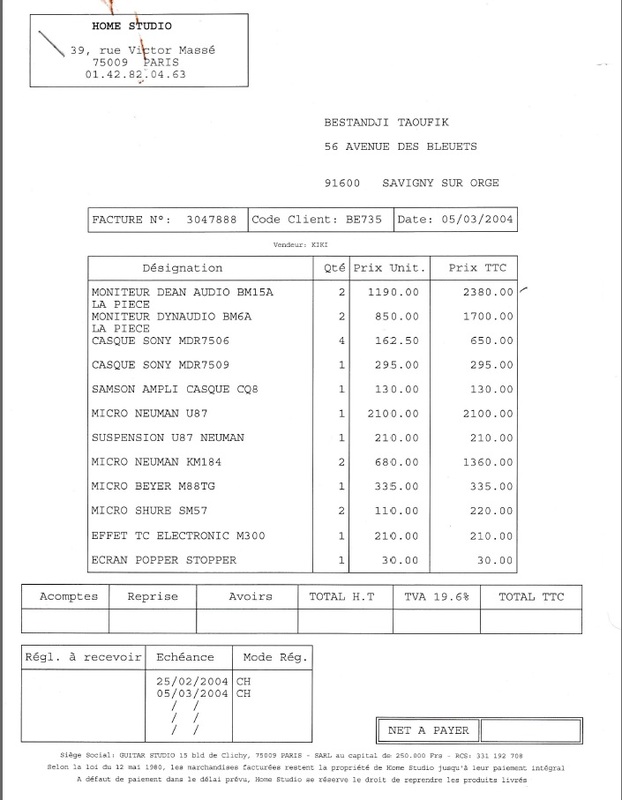 Most of the issues with mics are that they jut flat out are too expensive. Especially if you just want to get some good quality you will have to pay or it which is the reason that most people get held back because they cant afford it. Well Neumann KM 184 could be a solution to you have some great records from home. The KM 184 sounds amazing with an acoustic guitar and even some woodwind instruments. I did some work with a local band and I need to mic them up to record and we got into the discussion on some mics and other equipment. 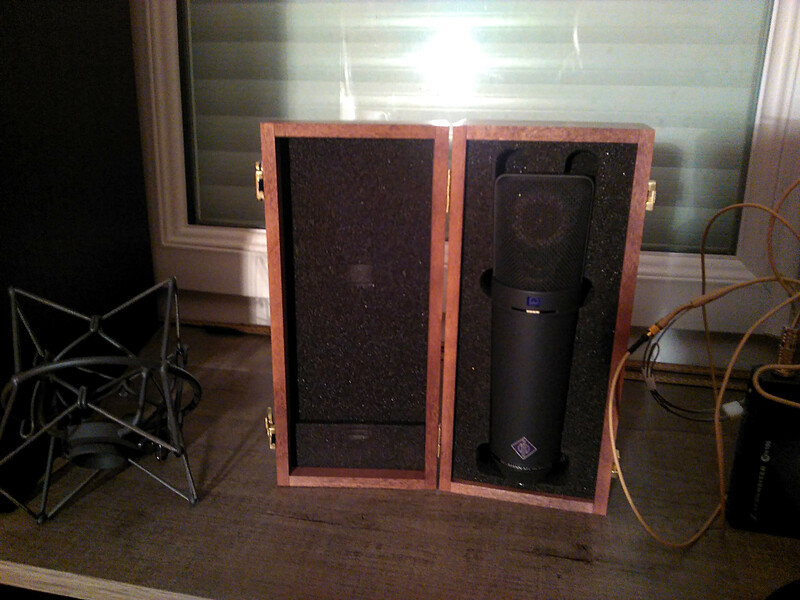 They actually recommended that I get the KM 184 for my acoustic recording, and that’s how I first heard about this mic, though I have been using Neumann for years now for some reason I didn’t have my sites set on this mic because I didn’t even know that it came out. But once I got word on it, then heard them recording with it, I knew that I had to have it. For some reason I though it was going to be out of my budget. It actually was perfect for my budget. So perfect I ordered to of them (they came together in a carrying case ). 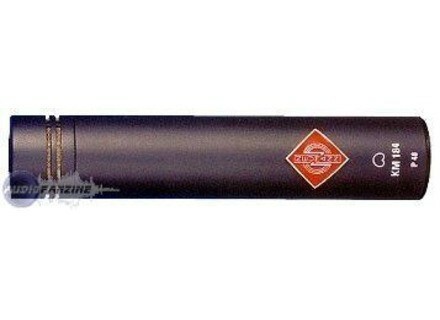 My next experiment with the KM 184 by Neumann will be to try to use them on some drums and see how they respond. Maybe on a kick drum and a punchy snare jus to see how they respond and then I will make a decision from there if I want to use them for more than what I already am. The KM 184 is a great mic and at a low cost. The Neumann K 184 is a small-diaphragm condenser microphone. I am a student, musician, writer, and pretty good line dancer residing in beautiful Nashville, TN. I've been a drummer and guitar player for the past 10 years of my life and have began engineering and producing in the past 4. I currently play drums for the band Brookline and you can see me rockin' an Orange County Drum and Percussion or Mapex kit decked out with Zildjian K Hybrids. Our studio bought a pair of these microphones about 4 years back form around $850 a piece from Sweetwater. This was when we first built our studio and all of us had used 184's before and knew it was a must-have pair in the studio. The KM 184 offers un-paralleled clarity and direction in such a small package. It sounds great on just about everything, and with a max SPL rating of 138 dB, you really can put it on anything - including 6 inches off your uncles jet powered ski boat. This microphone is unstoppable as a matched pair and is my go to set for close-up overheads, acoustic guitar, hi-hats, stand up bass neck, and so many more. My only negative comment about these mics are the clips that they come with. They will most certainly break within a few months if you are a daily user. They are small and wimpy and I would greatly recommend hittin' up your local music shop to find a stronger replacement clip. Imagine if you had a miniature 6 inch cops nightstick with a microphone in it. These are extremely solid microphones and include only the best circuitry. Very durable and ready to handle years of daily use. This microphone is durable, clean, responsive, and makes an unbeatable matched pair. It's a must have for all serious studios and the home studio's best tool - and c'mon, it's a Neumann! 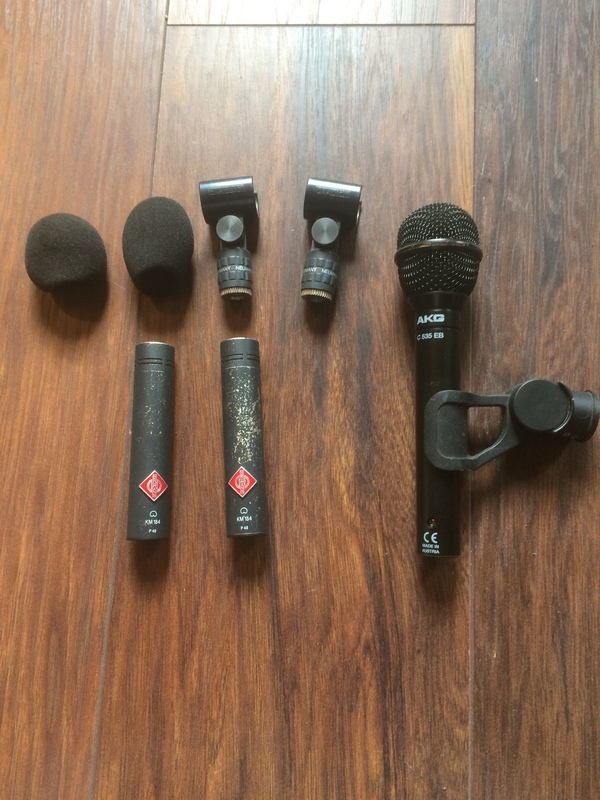 yoTrakkz's review"Basic mic great for beginner "
The Neumann KM 184 mic can work with anything. We use one of these and one dynamic mic and we can produce a full well recorded album. Its great for recording amps and cabs as well as vocals and acoustic instruments. We also use this and one dynamic mic to record our drums cause we have no drum mic kit and it sounds amazing, only downside is you can not tweak each drum when using 2 mics. It's also durable, i dropped it on concrete from 4 feet high and just a minor dent in the grill and that’s it.